Hilko Guitars collects personal data in order to provide better services to its users. This allows us to offer the best services for the needs of our users. We can also contact you on the basis of these personal information. To request information, you need to fill in a form. When you do this, we ask you a number of personal details, such as your e-mail address and name. This data is stored securely. In addition, we will collect your personal data as soon as you contact us, for example if you send an e-mail. Log data, such as an IP address, opened pages, mouse clicks, the date and time of your request, your browser, and so on. This information allows us to recognize you, and gives us information on how you use our website, for example which articles, or videos you have read or viewed, and whether you have read or watched all the way to the end. Device data, such as the IP address, brand, type and operating system of your device, and so on. This information gives us a rough indication of your location. It may also involve certain data relating to your behavior on social network sites, such as likes. These are data that you publicly share on the social networking sites and only to the extent that your personal settings on the social networking sites allow it. If you do not want such information to be shared, we recommend that you adjust your settings on the relevant social networking sites. We generally use the personal data for the delivery and maintenance of the Hilko Guitars services. For example, we can inform you of changes or planned maintenance on your site or the Hilko Guitars website, or process your feedback on our services in a correct way. We use the personal data to understand which Hilko Guitars services and Hilko Guitars content are interesting and useful for our users. 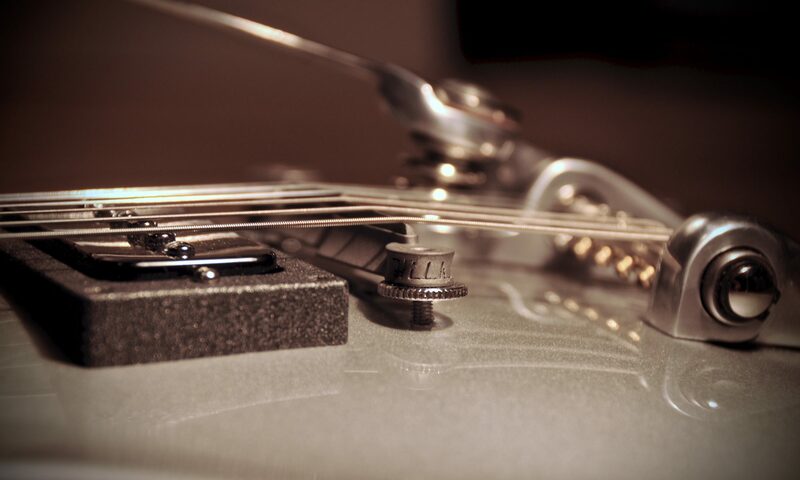 To deliver our Hilko Guitars services, we do rely on a number of independent companies or service providers, such as for supplying a number of infrastructure or IT services. It is possible that such companies have access to certain data and information. Hilko Guitars only allows this to the extent that this is necessary for the execution of their assignment and only when these companies offer the necessary guarantees regarding the access and possible use of this data and information. In certain circumstances, we will have to share your information with the authorities or pass it on to them. This may be, for example, to comply with the law or a legal decision, to detect and address fraud or security issues or to protect the rights of Hilko Guitars. You can view the personal data that Hilko Guitars processes about you at any time and have inaccurate or incomplete data corrected or deleted if wanted. You can contact Hilko Guitars by using the contact information at the top of this document. If you exercise your rights, we ask you to be as specific as possible, so that we can deal with your question concretely and correctly. We also point out that we need to be able to verify your identity before you can exercise your rights and to avoid that anyone else abuses them. Hilko Guitars believes it is important that your data is treated secure. That is why we use various security technologies and measures to adequately protect your data against unauthorized access, use, loss or disclosure. Unfortunately, the exchange of information via the internet is never 100% secure. Although we do everything we can to safeguard the security of your data, we can not guarantee this in absolute terms. Hilko Guitars will update this privacy statement in some cases as a result of changed services, feedback from customers or changes to privacy legislation.